Deshmukh, Marion F. Max Liebermann: modern art and modern Germany. N.p. : Routledge, 2015. 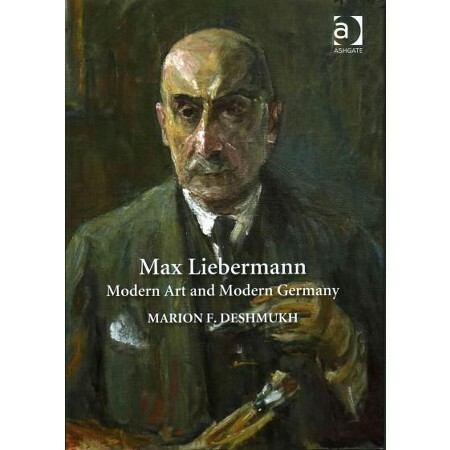 Max Liebermann: Modern Art and Modern Germany (Routledge 2015) is the first English-language examination of this German impressionist painter whose long life and career spanned nine decades. Through a close reading of key paintings and by a discussion of his many cultural networks across Germany and throughout Europe, this study by Marion Deshmukh illuminates Liebermann’s importance as a pioneer of German modernism. Critics and admirers alike saw his art as representing aesthetic European modernism at its best. His subjects included dispassionate depictions of the rural Dutch countryside, his colorful garden at the Wannsee, and his many portraits of Germany’s cultural, political, and military elites. Liebermann was the largest collector of French Impressionism in Germany – and his cosmopolitan outlook and his art created strong antipathies towards both by political and cultural conservatives throughout his life. The holdings of Leo Baeck Institute include some of Liebermann’s important works, as well as numerous letters, photographs, and books that document his life and career. At this event, LBI will also introduce the Edythe Griffinger Art Catalog, a new digital portal that makes the art holdings of LBI, including works by Liebermann, more accessible than ever before. Marion Deshmukh is the Robert T. Hawkes Professor of History at George Mason University where she served as Department Chair from 1984 to 1995 and from 2006 to 2007. Her publications include works and exhibition catalog essays on Max Liebermann, on German academies and art unions, on Berlin’s National Gallery of Art since 1945 and on East German painters since 1990. She curated a Max Liebermann graphics show at the Goethe-Institut, Washington, D.C., (Max Liebermann, Works on Paper, 2006) and an exhibit, co-curated with the Wende Museum, also at the Goethe Institut, (Iconoclash! Political Imagery from the Berlin Wall to German Unification, 2009–10).